You ever notice that people who eat too much are considered as someone who just has poor eating habits, and people who eat too little are pathologized, pitied, and diagnosed with a mental disorder? Why? How come if you eat too much or the wrong foods, it’s an unfavorable preference, but if you’re bulimic or anorexic, people wonder about your childhood, about your confidence, and about your overall mental well-being? I don’t like this double standard. That’s why hypnosis is so important; your treatment doesn’t reveal a medical, social, or cultural bias of any kind—it just works! The last thing my anorexic clients need is to come in and have me ask about their childhood or engage in some kind of mindful CBT mumbo-jumbo.They came to me to overcome their emotional obstacles and eat more, so that’s what I do. Hypnosis is the same for obese people and anorexic people alike in that it recognizes that all problems stem from an emotional problem that manifests itself with food. Hypnosis doesn’t presume moral failure or cultural spectrums in the treatment. It treats you as the start and finish point of your treatment, and it works. 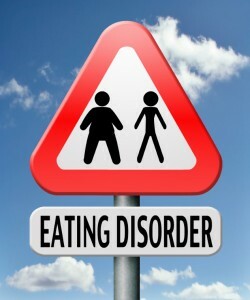 Call my office to find out how I can help you overcome your eating disorder. 212-599-3195. This entry was posted in eating disorders, weight control hypnosis, Weight Loss Hypnosis and tagged anorexia, bulimia, eating disorders, obesity, overeating by Dr. Errol Gluck. Bookmark the permalink.